How Old Is the Toothbrush? Even though you use one everyday—or at least you should—you may not have ever thought about how long the toothbrush has been around. It’s hard not to see them as a modern invention. And they are, in a way. The modern toothbrush didn’t come into being until 1938. But that doesn’t mean that no one brushed their teeth before that. It’s known that people living as far back as 3000 BC cleaned their teeth with frayed twigs. It’s also known that the first bristle toothbrush was invented in 15th century China. 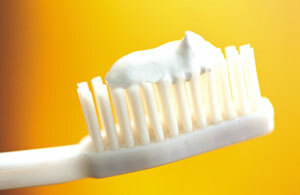 All of which means that brushing has been an important part of daily life for centuries, and it continues to be. Why is brushing important? Because it helps you remove food debris, plus bacteria and plaque, from your teeth and gums. As a result, teeth stay healthy and clean. Toothbrushes haven’t changed a lot over the years, but that doesn’t mean they will always be the same. As this NPR article points out, companies like Colgate, and even dentists, are looking for ways to make toothbrushes smarter and more effective. If you have questions about how to brush more effectively, call Westside Dental Associates. Dr. Latner would be happy to answer your questions. We can also give you advice on how to shop for a toothbrush that meets your needs. The Westside Dental team is happy to help patients from Los Angeles and beyond with a wide variety of oral health questions and services. by: Les Latner at January 14, 2013 . Comments Off on How Old Is the Toothbrush?